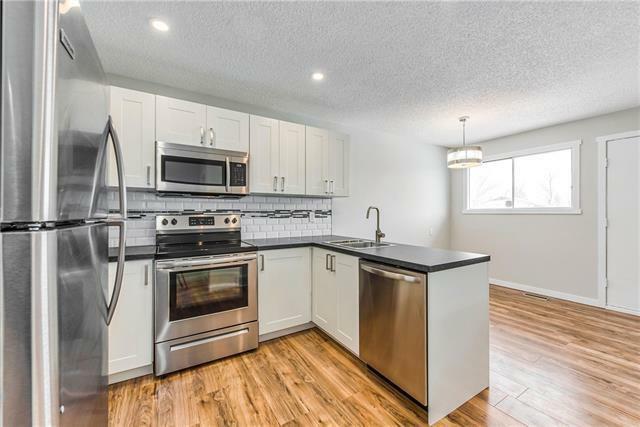 Welcome to this extensively renovated bungalow in Falconridge. Excellent location. Close to the transit stop and NE Sportsplex, this home has a total of 3 bedrooms, 1 Den (bedroom without window) , 2 washrooms and an (illegal) basement suite with full kitchen. The main floor boasts a huge living room, a very spacious kitchen, 1 master bedroom, 1 generous sized bedroom and a full bathroom. The basement features Private entrance, second kitchen , living room, 2 good sized bedrooms a small computer space and a full bathroom. The laundry on both floors to give maximum privacy. Large size yard, next to school and have the pride of ownership. New furnace, new roof, new Kitchen, new washrooms, new floorings, paint, new carpet , new kitchen applianes and soo much more.